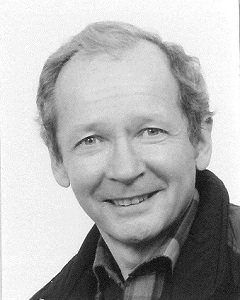 Clair Bailey was a member of the founding faculty of Queen's University's Faculty of Education and one of the group of Queen's faculty who pioneered the first concurrent education program in Ontario, specifically, the Queen's-Trent Concurrent Education program. Clair Bailey’s work in the Faculty of Education at Queen's was especially focused on ‘Literacy and Learning’ in Primary/Junior teaching and how achievement in both can come through engagement across all areas of study. To honour this important legacy, Clair's family is establishing the Clair Bailey Scholarship for Language and Literacy. This scholarship will be awarded, in Clair Bailey’s name, to a graduating teacher candidate in the Primary/Junior division in the Bachelor of Education program in the Faculty of Education, who has demonstrated personal insight and a passion for literacy teaching and learning across the curriculum, through coursework and in-school practice. In memory of Clair, you may support this fund today. Be sure to fill out the commemorative portion of the giving form entitled "Dedicate my gift to Clair Bailey." This will allow Queen's to notify his family of your thoughtful donation to this new fund being established in his memory.